Nov. 6, 2018 Tweet - "Because of #taxreform&#8594; Our economy is booming and America's manufacturers are #BetterOffNow"
Oct. 1, 2018 Tweet - "My Statement on the #USMCA&#8594; I look forward to reviewing this new agreement more closely to ensure it provides more opportunities for our farmers in Eastern Washington so they can sell their wheat, potatoes, and other crops." Oct. 1, 2018 Tweet - "I will continue to work with the Administration to ensure that #USMCA works for wheat farmers in Eastern Washington, and I will continue to push for additional deals." Sept. 17, 2018 Tweet - "More evidence that consumer confidence is up&#8594; "Truck operators are responding to red-hot demand for shipping goods in the U.S., w/ companies in the industrial & consumer-retail sectors speeding up distribution to factories, fulfillment centers & stores." Aug. 19, 2018 Tweet - "Our economy is booming, and our #smallbiz owners in Eastern Washington are more optimistic. Thanks to #taxreform and our pro-growth agenda, they have the confidence they need to invest, hire more people, & create jobs." Aug. 19, 2018 Tweet - "More record high optimism because of our pro-growth agenda to cut taxes and lift the regulatory burden on #smallbiz. #BetterOffNow"
Aug. 18, 2018 Tweet - "When optimism is high, that means our small businesses are tearing out walls, expanding, and creating new jobs here in our community in Eastern Washington." Aug. 13, 2018 Tweet - "#SmallBusiness owners are more optimistic now than at any point in the 15-year history of this survey. #BetterOffNow." July 24, 2018 Tweet - "JUST PASSED A permanent repeal of the job-crushing medical device tax. Thank you, @RepErikPaulsen, for your leadership." July 17, 2018 Tweet - "JUST PASSED Another jobs bill to empower our nation's startups, small businesses, and entrepreneurs to innovate and take risks so they can succeed in a 21st Century economy built for growth. #betteroffnow"
July 9, 2018 Tweet - "93% of manufacturers have a positive outlook because the economy is booming thanks to our pro-growth agenda." July 3, 2018 Tweet - "For families and small businesses, who are no longer overtaxed and over regulated, they finally have hope again. They have hope for a better life because of our booming economy." June 27, 2018 Tweet - "For families and small businesses, who are no longer overtaxed or over regulated, they have hope again that they can achieve a better life in a stronger America that is safe and secure." May 31, 2018 Tweet - "Our pro-growth agenda is working wonders for everyday Americans. 67% of Americans believe now is a good time to find a job Consumer confidence is at an 18-year high Unemployment is down to 3.9% from 9.9% in 2010"
May 23, 2018 Tweet - "This week, we sent a major @FinancialCmte bill to @POTUS that will further unleash Main Street, provide relief to community banks, and eliminate the red tape that is keeping families from accessing the credit they need." May 23, 2018 Tweet - "By eliminating red tape on community banks, families will be able to access the credit they need to finance a home, a car, and other important needs." May 22, 2018 Tweet - "The Economic Growth, Regulatory Relief, and Consumer Protection Act JUST passed the House. It's now headed to @POTUS' desk." May 22, 2018 Tweet - "Why are #smallbiz owners more optimistic and excited about the future? It's because #Taxreform and our pro-growth agenda is empowering them to succeed." May 17, 2018 Tweet - "According to a just-released survey from the @ShopFloorNAM, more than 80 percent of manufacturers are already planning new investments thanks to #taxreform." May 9, 2018 Tweet - "Passed the House @RepKHandel's bill, the SMARTER Act, to simplify & make Federal Trade Commission and Department of Justice rules the same for merger reviews. This means companies will face the same standards & processes regardless of which federal agency reviews their merger." 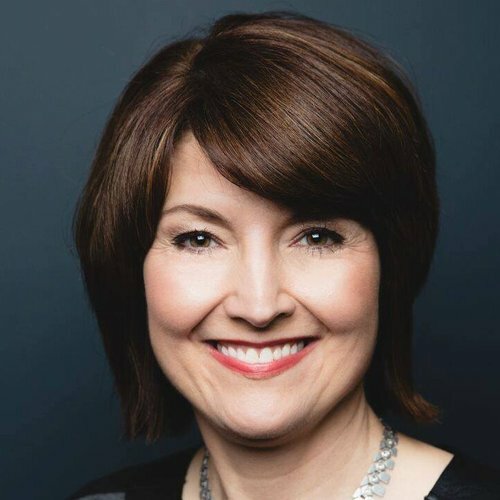 May 8, 2018 McMorris Rodgers: "We're Celebrating our Economy"
May 6, 2018 Tweet - "71 percent of entrepreneurs expect #taxreform to save them money." May 3, 2018 Tweet - "After years of stagnant wages & a stagnant economy, small business owners have a reason to dream again. #SmallBusinessWeek"
this is what we're seeing from our small businesses thanks to #taxreform. Makes for a happy #SmallBizWeek!" May 2, 2018 Tweet - "We need to hold China accountable for its illegal trade practices, and we should take a more targeted approach." May 2, 2018 Tweet - "Every day we are hearing more stories of #smallbusinesses that are investing in their employees and expanding because of #taxreform." May 1, 2018 Tweet - "It's #SmallBusinessWeek & here's a #smallbiz highlight from home Sonderen Packaging in Spokane, Washington. This is what #taxreform means for them." May 1, 2018 Tweet - "Because of #taxreform, this #smallbiz in Virginia is no longer stuck in neutral. #SmallBusinessWeek"
April 13, 2018 Tweet - "PASSED the House this week 3 bipartisan @FinancialCmte bills to boost access to consumer credit, provide regulatory relief to nonbank financial companies, and protect community banks. Thank you @RepDennisRoss, @RepLeeZeldin, & @RepFrenchHill for your leadership."